The Wooltru Healthcare Fund is a medical aid for the employees of Woolworths, Truworths, and Union Risk Management. ▪ TCOE – Total Cost Of Employment. This is what it costs Woolworths or Truworths to employ you. It is the basic salary you earn, plus the value of all the perks and benefits you enjoy. ▪ Non-TCOE – the other employees who only earn a basic salary, with no other benefits. Wooltru has three medical aid plans – Core, Plus, and Extended. The Core plan is the most basic of the plans. CareCross Health manages this network option. This means that although it offers the same comprehensive benefits as the other two plans, these members have to be serviced by the CareCross group of providers. TCOE and Truworths Flexpac employees will pay between R873 and R1,537 monthly contribution for each adult, and between R350 and R470 per child. Non-TCOE is about R268 to R646 per adult and R92 to R119 per child. Benefit of R10,000, Pathology, Radiology, Optical, Basic Dentistry, and Acute Medication. The Core Plan does not cover MRI or CT scans or any Specialised Dentistry. 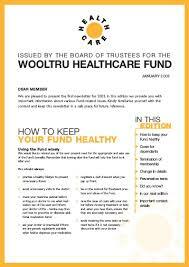 This is the Wooltru Healthcare Fund’s standard plan. This option pays 100% of the Wooltru Benefit Tariff, and patients may choose any of their approved health care providers, whether GP’s, specialists or hospitals. TCOE and Truworths Flexpac will pay about R1,690 per adult and about R515 per child. Non-TCOE R602 per adult and R129 for a child. The Annual Medical Limit for an adult is R4,380. This is the top plan on offer to the employees. Wooltru pays 300% of the basic tariff rate to the health care providers used by these patients. TCOE and Truworths Flexpac pay about R3,118 per adult, and children R1,039. Non-TCOE pays R1,913 per adult, and R612 per child. The Annual Medical Limit per adult is R9,160. Day-to-Day benefits – This is your Annual Medical Benefit from where your acute medication, basic dentistry, consultations, etcetera are funded. Preventative Testing – these are tests approved by Wooltru, which can help with the early diagnosis of a potentially life-threatening disease. Examples of these are a Pap Smear, Glucose test and a Cholesterol test. Maternity Benefit – register in the first 16 weeks of pregnancy. Chronic care – a host of programmes and services designed to lead as healthy and normal a life as possible. HIV/Aids – this benefit supplies all your medication, management, and support necessary to live a healthy and happy life. All Wooltru members qualify for membership to Momentum Multiply, which is a discount club geared to add value to the other benefits you enjoy. Wooltru – a medical aid to help keep you happy and healthy, and give peace of mind about receiving quality health care.